Flowers are one of the most magical creations of nature. They can effortlessly enliven even the dreariest of places, which is why everyone dreams of having a bountiful bed of blooms in their garden. However, flower gardening may seem a bit overwhelming if you are just starting. Getting those gorgeous colorful flowers is much more than digging a hole, adding the plant and watering it regularly. At the same time, it’s easy enough for anyone to learn and start planting. Plus, we’re here to help. Before you sink in your spade into your garden bed and embark on your first gardening adventure, go through the steps listed below and you’ll be off to a great start. Having a perfect flower garden is more about what you can do with space than about how you imagine it in your mind. Meaning, you may have visions of filling up the yard with beautiful roses and lovely lilies, but it’s important to understand if the culture conditions in your garden are suitable for growing your favorite flowers. To get it right, familiarize yourself with the garden landscape by assessing the conditions. Know how much light your garden receives all day. Take note of the area that gets the most sunlight and the areas that remain in the shade most of the time. Also evaluate the soil, topography and the moisture conditions to know which type of flowers will be best suited for the garden. After you’ve familiarized yourself with your garden landscape, it will be easy to pick the spot where your flowers can thrive. Next, you’ll need to figure out how your flower garden will fit in with the rest of your landscape. The design and placement of your flower bed should be influenced by the architectural style of your home and your personal preferences. Clearing the ground of weeds or excessive grass is essential before you start planting. Start with removing the sod from the area of your flowerbed. Clearing the sod will create space for your flowers to bloom. Now, one of the most critical steps to successfully planting a flower garden is preparing the soil. Garden soil isn’t always ideal for planting flowers and hence needs to be enriched with nutrients and minerals that make the soil more fertile and help the plants thrive. The easiest method is to add compost, old manure or any other organic material into the top 6 inches of your soil. After a few months, your soil will become perfectly fertile to plant the flowers. Time to put your flower research into action! While thinking about which flowers to grow, it’s important to consider how much work you are willing to put into the maintenance of your garden. In addition to that, you must factor in the culture conditions, flower sizes, and colors, bloom time, etc. The simplest way to get flowers is to buy them from a nursery or a garden store. Once you’ve obtained flowers, water them thoroughly before planting so that they won’t have to go through transplant shock. Next, dig a hole for each plant. Make sure that the hole is sufficiently deep for the plant and about twice as wide so that you fluff up the soil at the bottom. Place the plant inside the hole and fill it up with soil or compost. After planting, you will need to add a layer of mulch (around 3 inches) and water it properly so that the soil settles around the root. Feeding fertilizers help the plant thrive, makes it resilient and protects it from the attack of insects and pests. Make sure you choose the right fertilizer for your flowers. You can go with either synthetic fertilizers, which tend to act fast but may leach away from the soil quickly, or organic fertilizers that cost more and take time to show results. Newly planted flowers need to be watered every other day so that they can develop a strong network of roots. Following that, you may water as needed, which may vary upon the flower, soil, humidity and rains. You are right on track to have a beautiful garden with lovely blooming flowers. All you need to do is keep watering and feeding fertilizers as required. Anthurium care: how to care for your anthurium houseplant? 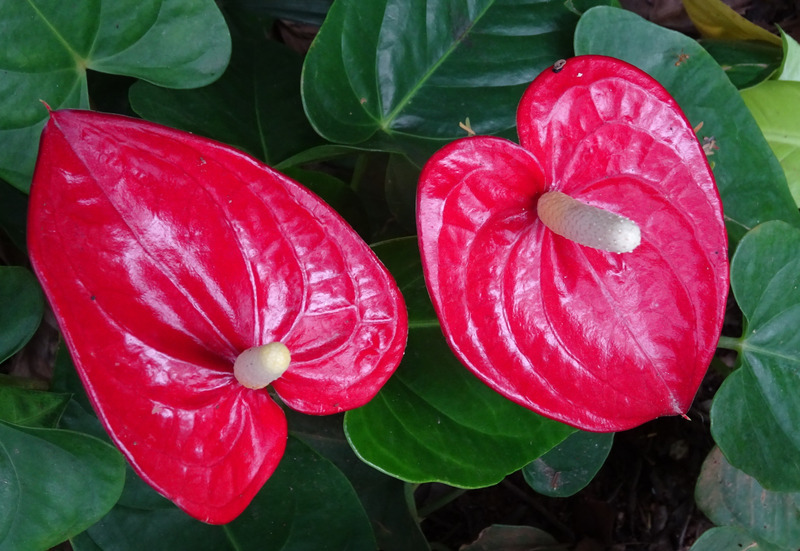 People grow Anthurium for its red, heart-shaped flowers. It is mostly found in Mexico, northern Argentina, and Uruguay. Some call it Flamingo Flower or Tail Flower, while some also name it as Painted Tongue. Anthurium houseplant is known for its vividly colorful flower spathes and decorative leaves borne on its long stalks. Though the color of leafy bracts is often pink, it may also be red, green, orange, yellow, or white. Here is your quick guide to care and pamper your anthurium plant to keep it in good shape. Place your plant in a well-lighted area, but do not put it in direct sunlight. Keeping the plant in a dark place will give you fewer flowers. Anthuriums love the warmth and enjoy the temperature between 20°C and 22°C. The minimum temperature for pot plant and the cut flower is 16°C. Keep your flower plant away from a hot radiator. Anthuriums prefer high humidity so your bathroom could be an ideal place for positioning anthurium plants. Anthurium plants love receiving water daily. But, standing water is not ideal for this flowering plant. Also, exposure to air and moisture are critical for the growth of the anthurium plant. The key is water anthurium regularly while allowing their roots to receive enough air and moisture. Use proper potting soil to accomplish this. The soil you use for this plant should be fluffy, light, and has to drain well. You can use anything like bark, volcanic cinder, sand, or gravel as long as it meets the criteria. Once you’re done with the proper potting, ensure the complete water drainage out of the pot. Don’t overlook the water drainage. Standing water is the deadliest mistake when caring for your anthurium plants. It allows roots of the plants to remain soaked in water which prevents the supply of oxygen to their roots. It gives room for growth of anaerobic microbes and fungus and causes roots rot, which eventually kills your plants. In short, water your plant every day and take care of water drainage out of the pot. If you live in an area with low humidity, mist the leaves of your plant by spritzing them with water twice daily. Fertilize Anthurium periodically, but avoid over-fertilizing them. 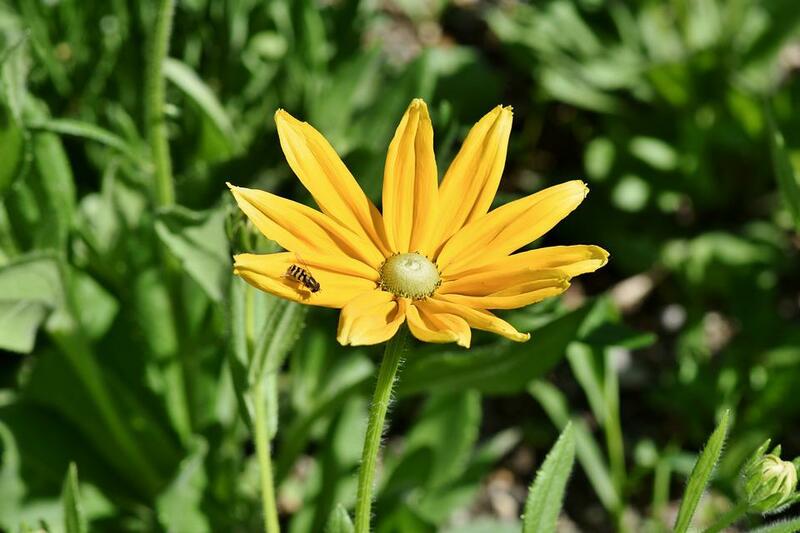 Giving too little fertilizer may cause slow growth and produce fewer flowers. However, you can easily fix this by giving more fertilizer to the plant. On the other hand, if you give too much fertilizer, your anthurium plant can die. Fertilize them once or twice a year depending on the length of the growing season in your region. The ideal ration for fertilizer is 5-10-5 to ensure a good balance of flowers and foliage. For the best blooms, pick a fertilizer with a higher or middle phosphorus number. Choose a fertilizer with a slow release variety. This way, you’ll need to fertilize your plants once or twice a year, rather than once a week if you use a liquid fertilizer. After you buy Anthurium flowers, cut 5 centimeters off the end of the stalk. Now, put the flower in a neat vase and pour clean tap water into the vase. This plant doesn’t require cut flower food. Make sure you change the water in the vase and cut one centimeter off the stem once a week. If you follow this anthurium flowers caring ritual, your plant will stand easily for 2-3 weeks in the base. Moreover, we recommend repotting in spring because the lighter days help stimulate the buds formation. Put the plant in a pot that at least 20% wider diameter than the previous one. Fill the pot with special anthurium soil or mix in a bit of anthurium feed to reserve for the plant’s growth. It’s very easy to care for your anthurium plants properly. Just follow the instructions and avoid the mistakes discussed above. And, your lovely houseplant will always be in great shape and keep you happy and positive.